G. Watts Humphrey’s Frivolous is more likely to defend her title in Thanksgiving Day’s $200,000 Falls City Handicap Presented by TwinSpires.com (Grade II) at Churchill Downs than to face males in Friday’s $500,000 Clark Handicap Presented by Norton Healthcare (GI), the owner’s daughter and trainer Vicki Oliver said on Wednesday morning. 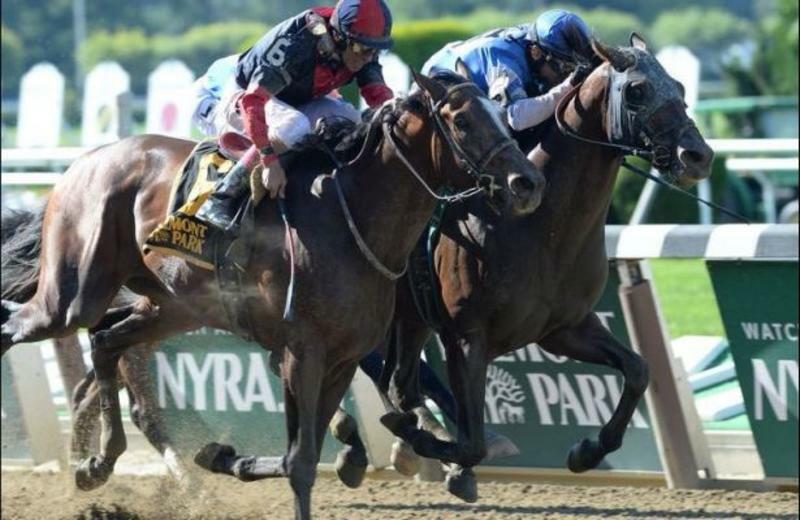 Should the 5-year-old daughter of Empire Maker’s swan song take place in the Falls City Handicap, she would be going for back-to-back victories in the race. Last year she scored a 19-1 upset victory in the Falls City over graded stakes winners Don’t Tell Sophia and Molly Morgan. She is the 122-pound high weight in the Falls City, seven pounds heavier than the 115 pounds she would carry against males in the Clark. Aside from her Falls City triumph last year, Frivolous has scored two other stakes victories over the Churchill Downs main track when she spring a 32-1 upset in this year’s Fleur de Lis Handicap (GII) in June followed by an eight-length romp in the Locust Grove in September as the 7-5 favorite. Most recently, she was fifth in the Breeders’ Cup Distaff (GI) at Keeneland. The Falls City Handicap field (with jockey and odds) from rail out: Tiz So Sweet (John Velazquez; 5-1), Call Pat (Joe Rocco, Jr.; 6-1), Salama (Chris Landeros; 30-1), Needmore Flattery (Luis Colton; 50-1), Frivolous (Jon Court; 3-1), Ahh Chocolate (Brian Hernandez, Jr.; 12-1), No Fault of Mine (Robby Albarado; 10-1), Gambler’s Rose (Shaun Bridgmohan; 30-1), Birdatthewire (Corey Lanerie; 4-1), Montana Native (Channing Hill; 20-1), Theogony (Julien Leparoux; 12-1), Chide (Miguel Mena; 5-1), Pretty Fancy (Sophie Doyle; 30-1). EFFINEX SEEKS FIRST GRADE I WIN IN FRIDAY’S CLARK HANDICAP – Tri-Bone Stables’ Effinex will attempt to land the first Grade I victory of his career as the 122-pound high weight in Friday’s 142nd running of $500,000 Clark Handicap Presented by Norton Healthcare (GI) over 1 1/8 miles at Churchill Downs. Last time out, the New York-bred son of Mineshaft was a runner-up behind Triple Crown winner American Pharoah in the Breeders’ Cup Classic (GI) at Keeneland where he chased the winner at odds of 33-1. Jerkens acknowledges that Effinex will probably not get such favorable conditions as he did in the Breeders’ Cup. Friday’s National Weather Service forecast for Louisville calls for cloudy skies with a high near 62 and a 70-percent chance of showers after 8 a.m., which could affect the shape and outcome of the race. Regardless of how Effinex performs in the Clark, he will likely get a break following the race. Mike Smith, the pilot in Effinex’s last outing, will return to the saddle for Friday’s Clark Handicap. 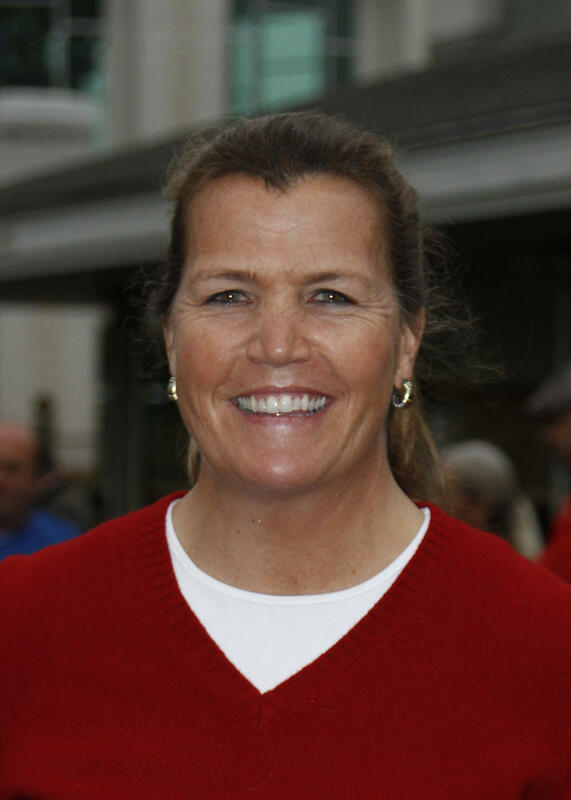 TROUT CONFIDENT WITH OKLAHOMA-BRED SHOTGUN KOWBOY IN CLARK ‘CAP – Owner-trainer C.R. Trout is confident that his Oklahoma-bred gelding Shotgun Kowboy has a shot to win his fourth race in a row in Friday’s $500,000 Clark Handicap Presented by Norton Healthcare (GI), where he will carry 113 pounds. The son of Kodiak Kowboy will be facing off against six graded stakes winners and has yet to face such a competitive field. While he may appear to be a David amongst Goliaths in Friday’s race, Trout has faith that the horse can be competitive in what has turned out to be a deep Clark Handicap field. 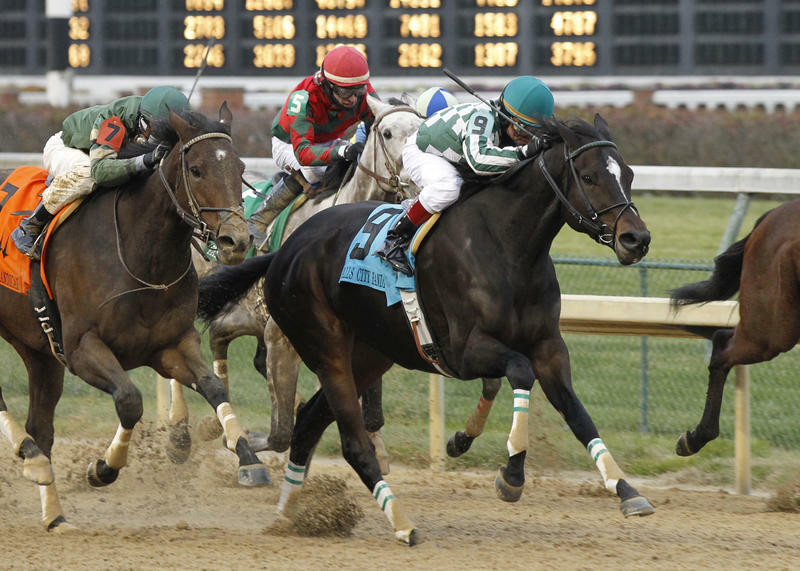 Trout’s last Clark Handicap contender, Maysville Slew, ran third in the 2000 edition of the race, finishing 5 ¼ lengths behind eventual winner Surfside. Trout has high ambitions for the son of Kodiak Kowboy, who has never finished off the board in eight career starts. Cliff Berry, the pilot in Shotgun Kowboy’s last two outings, will return to the saddle in Friday’s race. The Clark Handicap field (with jockey and odds) from rail out: Keen Ice (Corey Lanerie; 3-1), Looks to Spare (Victor Lebron; 30-1), Mr. Z (Ricardo Santana, Jr.; 15-1), Frivolous (Jon Court; 15-1), Protonico (Julien Leparoux; 8-1), Hoppertunity (Martin Garcia; 7-2), Shotgun Kowboy (Berry; 20-1), Effinex (Mike Smith; 5-2), Race Day (John Velazquez; 7-2). SAHAM GOES FOR SECOND CHURCHILL STAKES WIN IN COMMONWEALTH TURF – Sultan Bin Mishal’s Saham will be attempting to win his second graded stakes at Churchill Downs when he takes on a dozen 3-year-olds in Friday’s 12th running of the Commonwealth Turf (GIII) over 1 1/16 miles on Churchill Downs’ Matt Winn Turf Course. 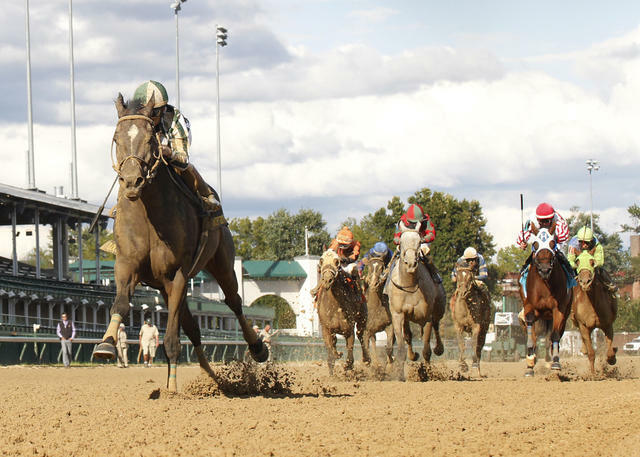 Two starts ago, the son of Lemon Drop Kid won the Jefferson Cup (GIII) over the Churchill Downs’ Matt Winn Turf Course which gave him his first graded stakes victory. He followed that win with a runner-up effort in the Hawthorne Derby (GIII) last month finishing 2 ¼ lengths behind eventual winner Lucky Lindy. Trainer Brendan Walsh stated that his horse had a bit of traffic trouble during his most recent outing. In nine starts this year, Saham has never been beaten more than four lengths while scoring three victories. Walsh has high hopes that his horse will only improve with age and has his sights set on a 4-year-old campaign. The Commonwealth Turf field (with jockey and odds) from the rail out: Nucifera (John Velazquez; 5-1), Czar (Mike Smith; 20-1), Almasty (Jon Court; 8-1), Quality Bird (Chris Landeros; 10-1), Wayward Kitten (Ricardo Santana, Jr.; 10-1), Bullards Alley (Marcelino Pedroza; 30-1), Bucchero (Shaun Bridgmohan; 30-1), One Go All Go (Julien Leparoux; 6-1), Nun The Less (Robby Albarado; 6-1), Magic of Believing (Corey Lanerie; 20-1), Granny’s Kitten (Martin Garcia; 6-1), Saham (Joe Rocco, Jr.; 4-1), Obsidian Splendor (Carlos Sullivan; 12-1). DOWN THE STRETCH – Admission gates open at 10 a.m. and the first of 12 races on Thanksgiving Day will be 11 a.m. Training hours on Thursday will be 5-8:30 a.m. Thanksgiving Day at Churchill Downs has been a Louisville tradition since 1969 where more than 7,000 turkey dinners are served with all the trimmings, making it the largest number anywhere in the region.